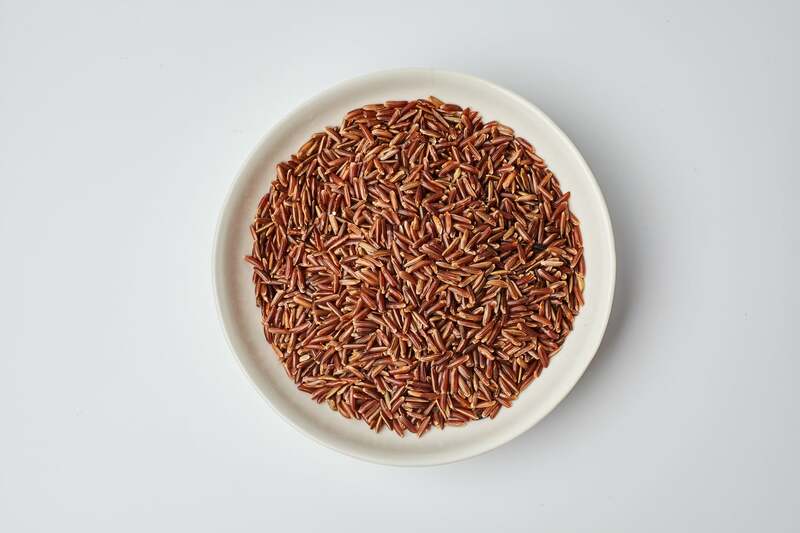 Pacifico Crespi’s Red Rice has a natural, lovely red color, a sign of its high level of antioxidants, the same as those found in red grapes. Richly aromatic, it makes an earthy side dish for roasted meats or vegetables, a satisfying addition to rustic soups, or a delicious dish on its own with a drizzle of good extra virgin olive oil. For a traditional Piemontese treat right from Signora Maria Antonietta Crespi’s kitchen, use Crespi Red Rice for an unusual risotto with apple, onion, Parmigiano Reggiano and wine. This Riso Integrale Rosso Ermes is an Italian long-grain rice, and has twice as much fiber as other varieties because it is unrefined. It helps lower cholesterol, and is also rich in protein, vitamins and minerals like iron, zinc, calcium, selenium and manganese.